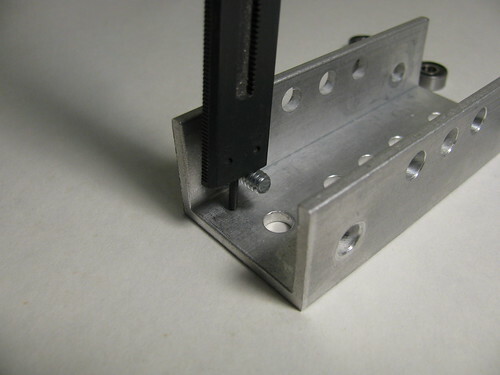 Linear bearing is made from half of rectangular or square aluminium tube, bearings and fasteners. 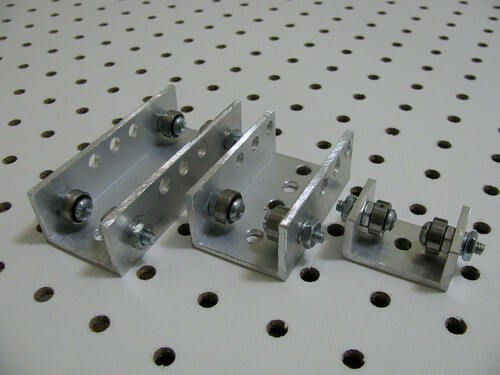 Like with the sliding element, it consists of 1½" long mounting section(s) and 1" long bearing section(s). 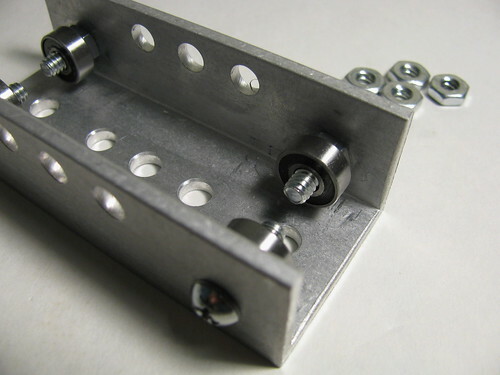 The bearing section consists of pair of bearings attached to the tube by generic fasteners. 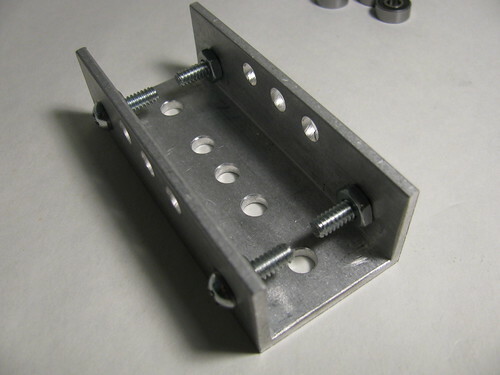 The mounting section has a pattern of holes on each side of the tube to mount the perforated angle. Many cheap R3 bearings seem to have inner diameter a bit less than 3/16" (by 0.005" or sometimes even more), so it's recommended to use regular zinc plated steel screws since their OD is also a bit less. For example, stainless steel screws may not fit in the R3 bearing. Make the tube piece from SVG template, according to the instructions in Howto section. 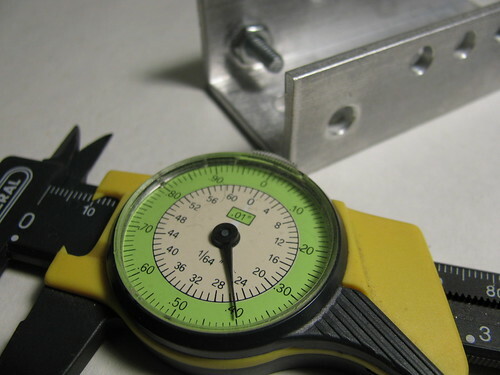 To have good alignment and avoid all sorts of problems later, it's very important that the center axis of the ball bearing (and the screw) is at 5/16" distance from the base of the channel/half-tube. This can be achieved with help of 1/8" thick padding, inserted between the base and the flat side of the nut on the screw. 1" aluminum angle works great for this. 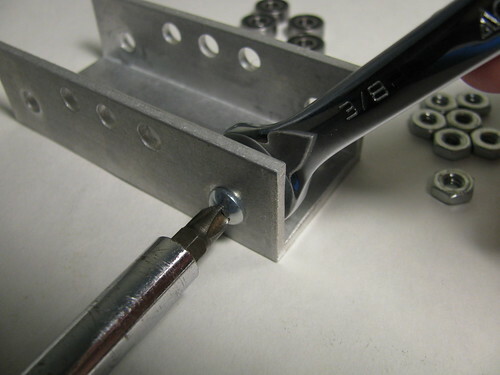 Insert the 5/8" screw from outside of the half-tube and put the nut on it from the inside. 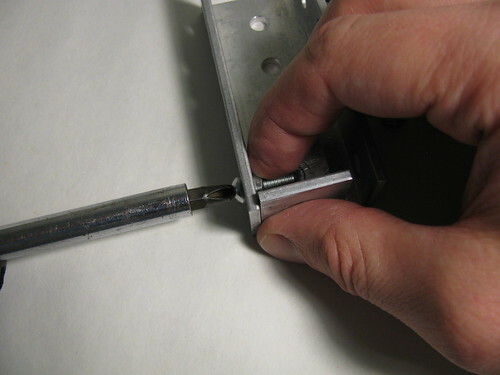 With the angle in place, hold the nut with your finger and tighten the screw a bit with the screwdriver. 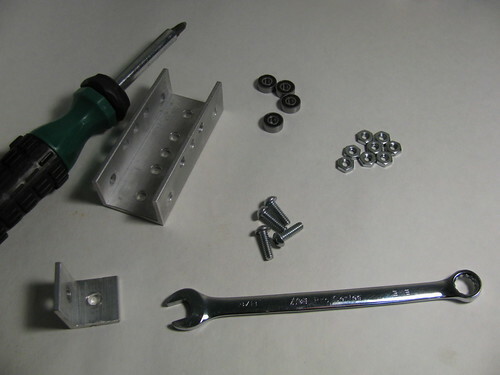 Then remove the angle, hold the nut with the wrench or pliers and tighten the screw well. 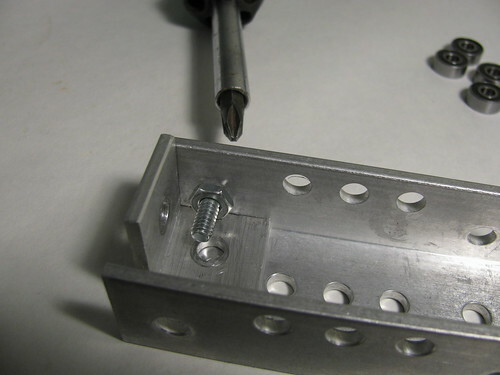 Try to turn the screw first, rather than the nut. This is easier than it sounds. In the end, the distance between top of the thread and the base should be 0.4" (1cm). 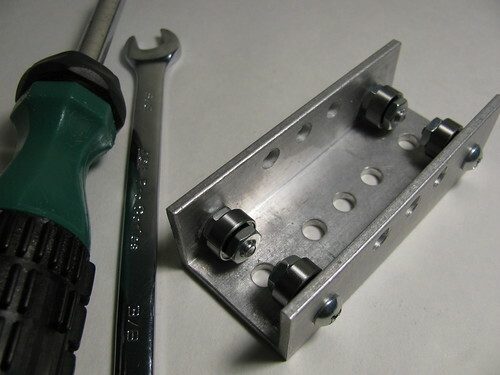 It may take more than one try to get it right - repeat the adjustment process until you get 0.4" (1cm), then repeat for all screws. Don't skip this part. 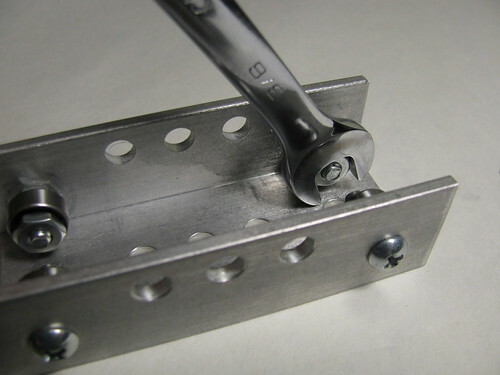 Place the bearing on the screw and secure it with another nut. Do not over tighten or the first nut might become loose. 1/8 of a turn should be enough. Repeat for all bearings. Top picture shows old arrangement with spring washer.